The Library have recently added a variety of young adult (specifically boys) mentoring books to their collection. 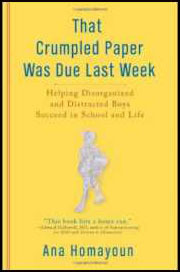 Examines issues challenging today’s young men in the areas of education, mental health, sexuality, and leadership, outlining a comprehensive blueprint for parents, teachers, and policymakers to help boys lead purpose-driven lives. At last, the solution for getting disorganized boys back on track. Missed assignments. Lack of focus and enthusiasm. Falling grades. For too many boys and their frustrated parents, these are the facts of life. But they don’t have to be. Top academic counselor Ana Homayoun has helped turn even the most disorganized, scattered, and unfocused boys into successful young people who consistently meet their personal and academic challenges. She does this by getting back to basics- -starting with a simple fact: Most boys needs to be taught how to get organized, how to study, and– most important–how to visualize, embrace and meet their own goals. 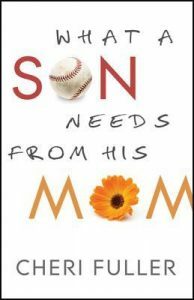 Through compelling true stories and solid principles, this book offers a blueprint for what sons need from their mums to become healthy, caring, confident young men. 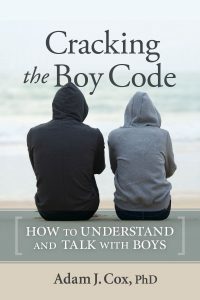 With specific advice for boys’ different ages, mums will learn the balance between controlling and letting go, how to cultivate their son’s unique masculinity, how to encourage a lasting relationship with God, and much more. Michael Carr-Gregg believes that too many Australian boys have got it too easy – and the result is a generation of ‘boofheads’: boys with huge egos who think they are too good to stack the dishwasher or turn up to school. They expect the world and give little in return. But things are about to change. 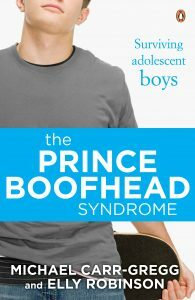 From the author of The Princess Bitchface Syndrome and researcher Elly Robinson comes this essential companion book for boys. 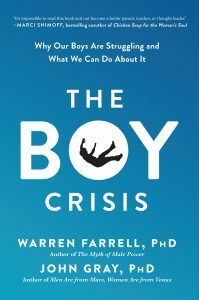 It serves as both a warning and a rescue manual for all desperate parents – why have some boys today become such egotistical and lazy creatures, what can you do to prevent it, and how do you deal with the situation if you’re caught up in the crisis? This book will ask the tough questions and deliver straightforward advice so that the parents of today can take back control. It is essential reading for everyone living with a teenage boy. 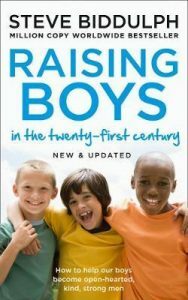 When published in 1997, Raising Boys was an instant bestseller. Few books have stayed in the hearts and minds of parents everywhere as much as Raising Boys. Now in an increasingly complicated and nuanced world, raising boys to become emotionally strong, kind and resilient men is even more important and relevant. In response to calls from parents around the world Steve Biddulph has completely updated and revised his seminal work to include all the latest international information and advice for parents on all the key issues of today. An email can be sent to smoulton@stedwards.nsw.edu.au who will check out the book in your son’s name and leave it at the front office for pick-up.